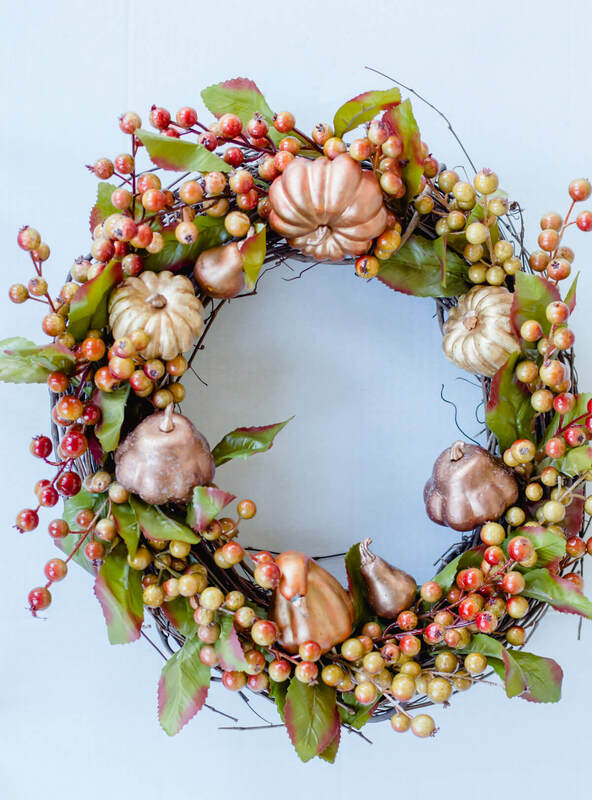 Fall Wreath Made Quick and Easy – Just Cut & Tuck! Hey friends! 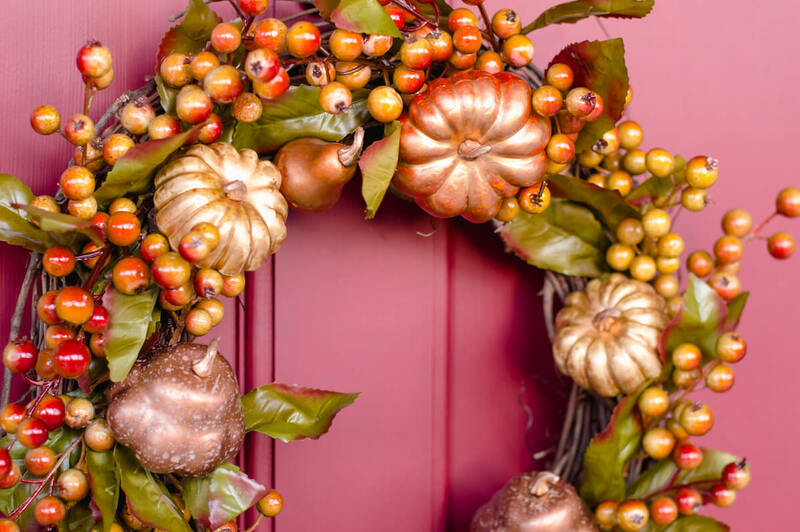 Today I’m sharing with you how to make this pretty fall wreath in only a few minutes and for less than $20! This fall wreath looks impressive, but from start to finish it took me less than 30 minutes using just a few supplies. Now that you have all your supplies the next step is super simple. Just cut and tuck! Start by cutting the stems of your flowers or greenery using your wire cutters. Leaving the stems long enough to tuck them into the grapevine wreath form securely. Next tuck in your stems that you just cut into the grapevine wreath. Making sure to overlap them a bit. Keep tucking in your stems, until your wreath is complete. 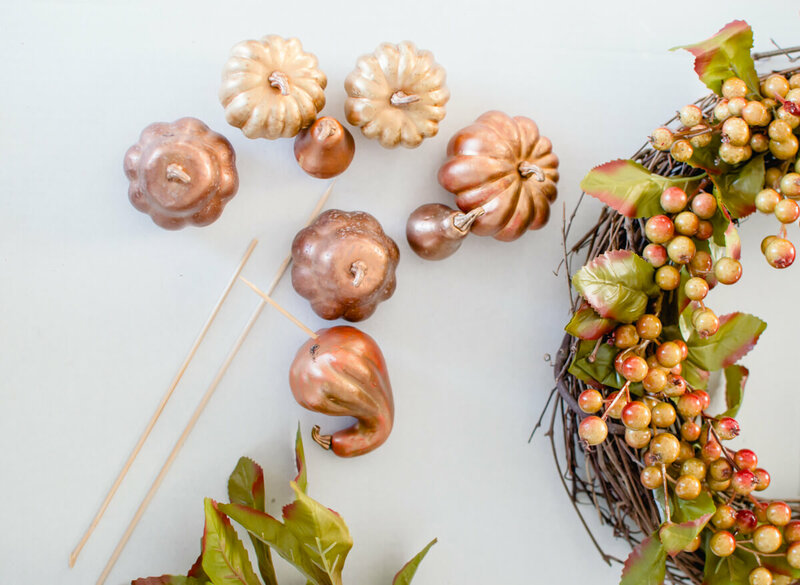 Next, add your miniature pumpkins and gourds. Using your wire cutters cut your skewers in half. 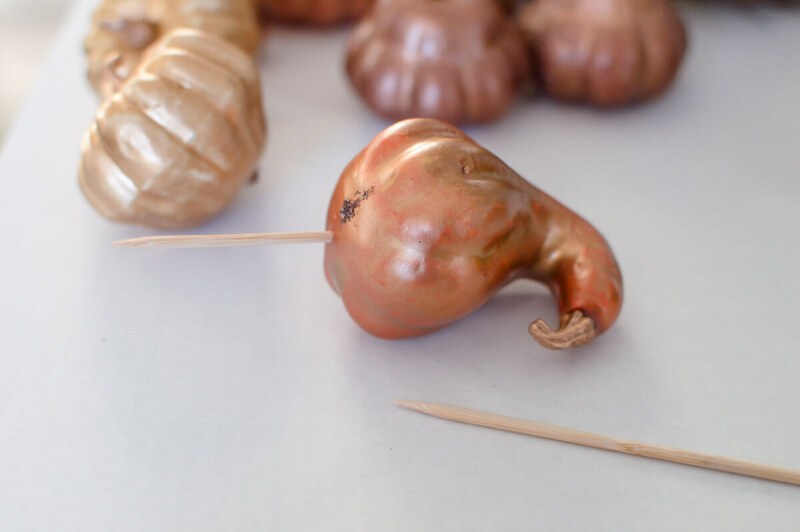 My miniature pumpkins and gourds were foam, so I just easily push one end of the skewer into the bottom. Now tuck them into the wreath until they feel secure. If some of the skewer is sticking out of the back of the wreath, just cut the piece sticking out with the wire cutters. That’s it, you’re done! Just hang and enjoy! The great thing is if you wanted to, at the end of the season you can just take everything off. 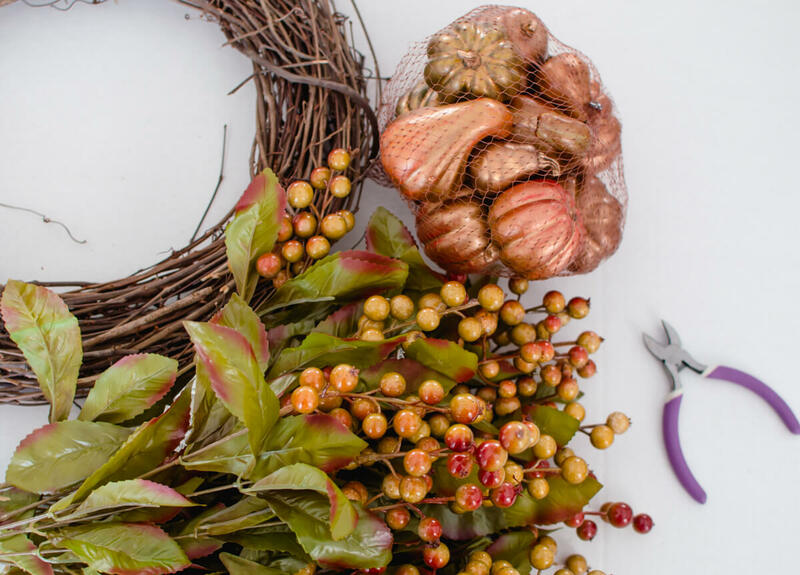 Put them in Ziploc bags, and reuse your wreath form for another project! I used my wreath on my door, and I love how it looks! 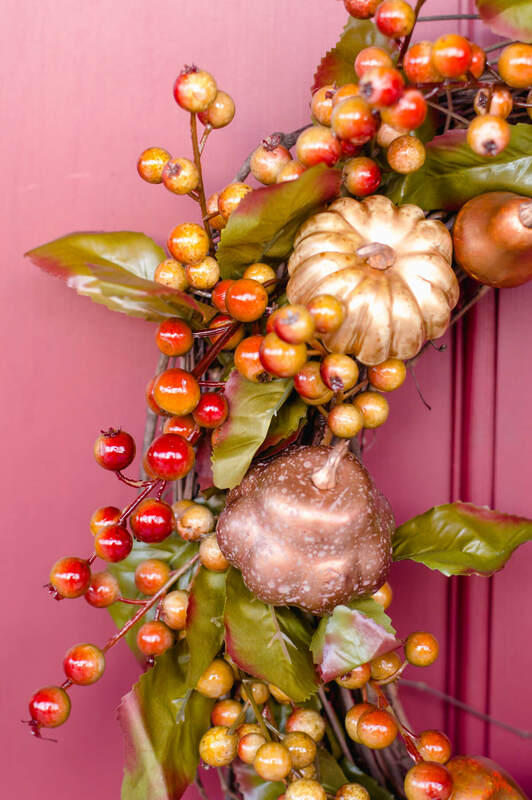 I hope you enjoyed this quick and easy DIY fall wreath tutorial! Thank you for visiting! See you next time! Your wreath came out beautiful Linda! 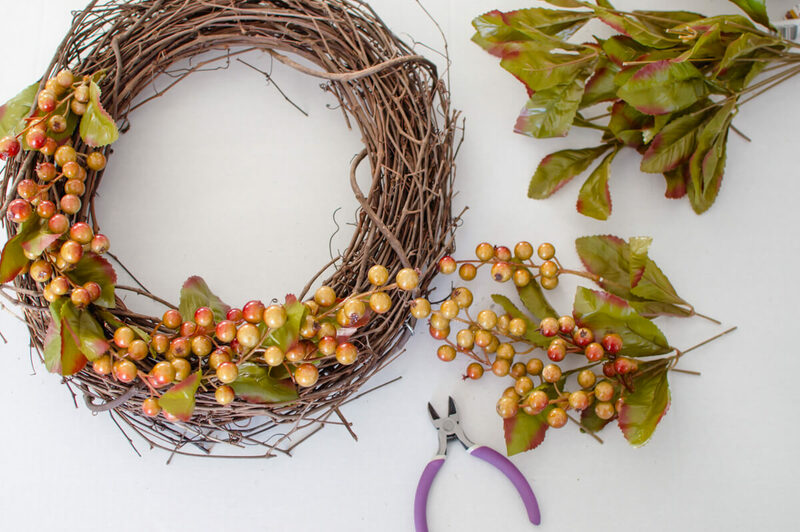 Grape Vine Wreaths are my favorite base for wreaths, so easy to assemble everything—I have to say, I never thought of using wood skewers, that’s genius! 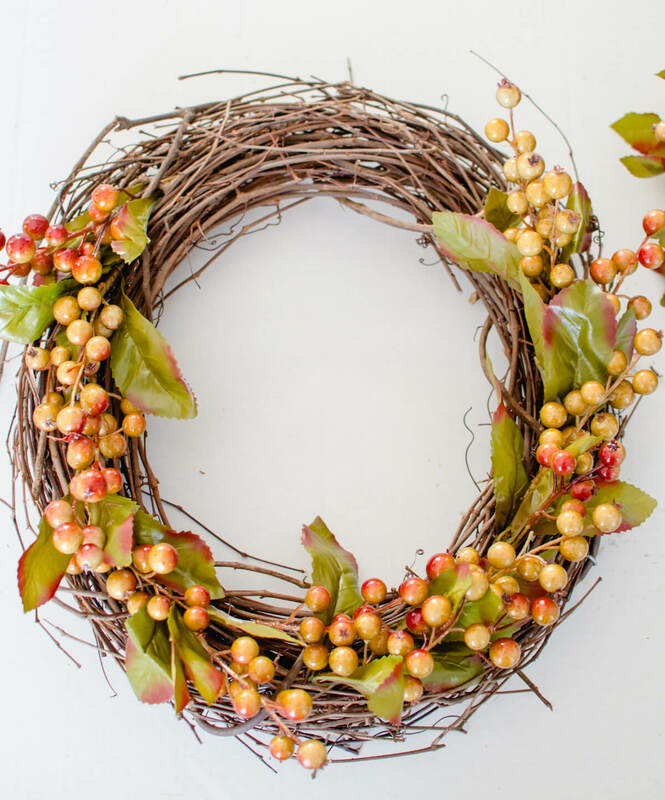 Aren’t grape vines wreaths the best?! It’s so easy to change them up. I was glad to have those skewers on hand. ?? Such a beautiful wreath! I really think I could make it. 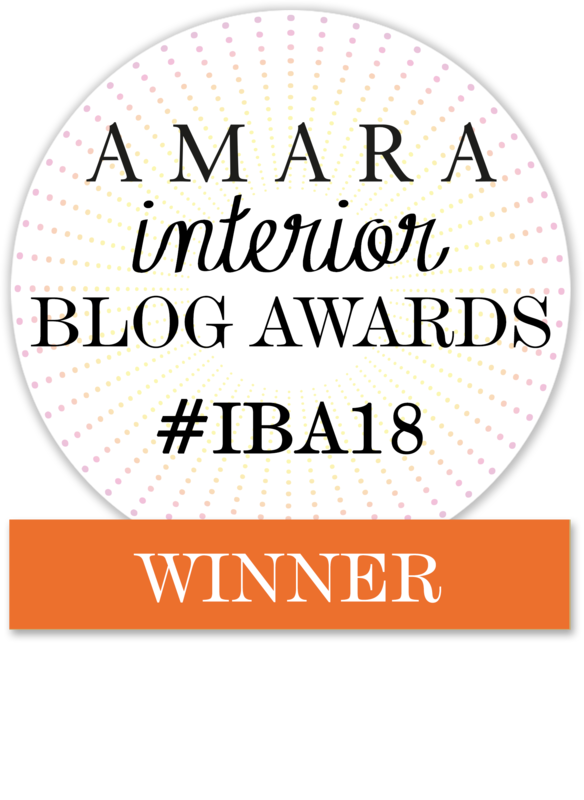 Thanks for sharing and linking up with TaDa! Thursdays. Beautiful wreath!! Great job on it! Thanks for sharing at Home Sweet Home! I will feature this today at Home Sweet Home! Oh wow, thank you so much Sherry! Linda, your fall wreath looks beautiful!! It looks great on your front door. What a great idea to bag the pieces after fall and use the wreath for another project! Thanks Keri! I’m always looking for ways to use things for double duty or triple sometimes ? 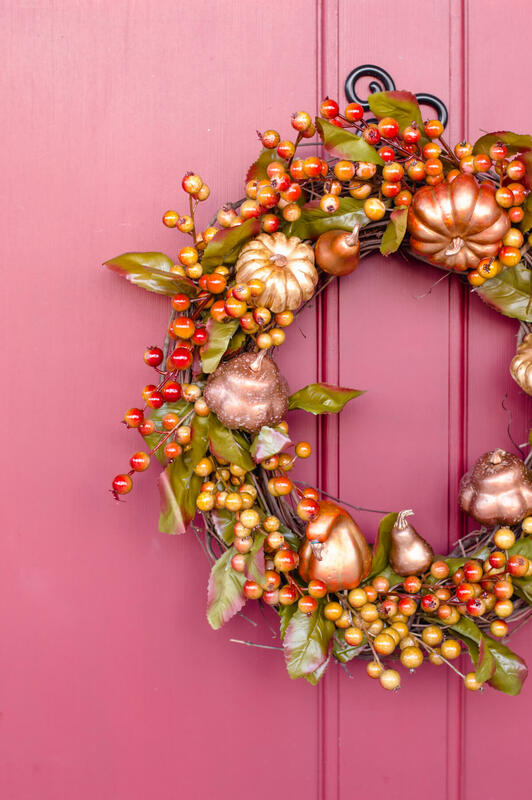 Oh your fall wreath is so so beautiful! Thank you very much for sharing. It is a good idea for front door decoration. Perhaps I will try to make one piece for my house. Erin, you should definitely try making one! Honestly you could make this while watching a TV show! ?? Oh man, your wreath looks so gorgeous, perfect combination. Thanks for your detailed steps, i think my partner will make it for our new fall decor. Hi Alan! Thank you! I hope y’all do try it, honestly it was sooo simple! Thank for stopping by, and I hope to see you again! ? That wreath turns out to be gorgeous, Linda. It does seem quite easy to follow. I think there’s no place which is more suitable with it than your pink door. Really love your creation and your door color, too 🙂 Thanks for giving such detailed instruction. Cant believe that wreath is under $20, so stunning! 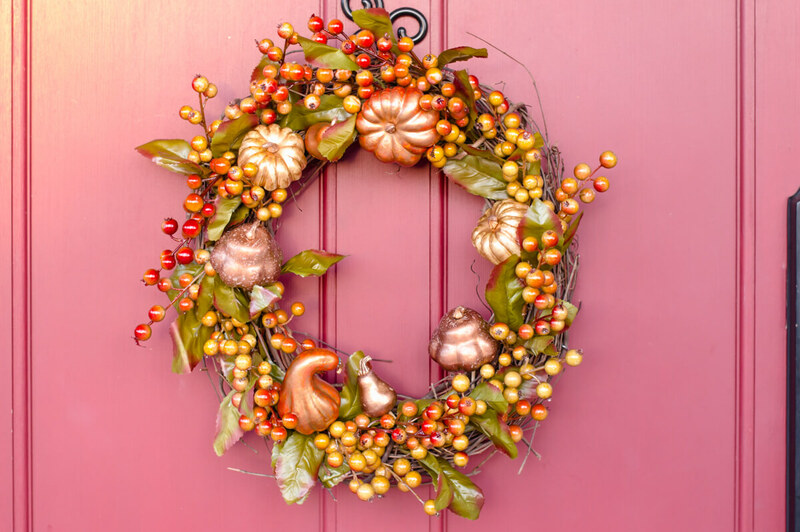 I will try it out soon, my door needs an amazing fall wreath. Thanks for useful instructions, easy to practice.